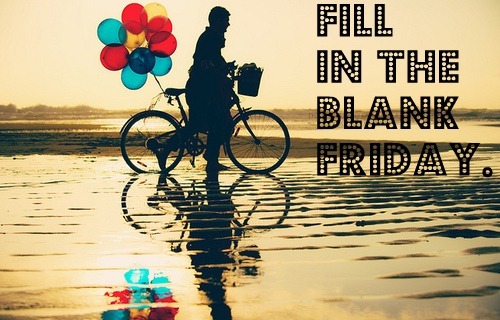 Fill in the blank Friday brought to you by Lauren from thelittlethingswedo! 1. I am a wife, a daughter, a granddaughter, a great granddaughter, a sister and a friend. 2. I wish there were three days to the weekend – not because I dislike work just because I seem to loose so much time lol. 3. I like chocolate lol. However I go through stages where I really don’t like it lol. 4. I can play flute, acoustic guitar, bass guitar and piano amongst other others to some level. 6. I think carefully – some days it hurts lol. i like chocolate too!! a little too much maybe? ?